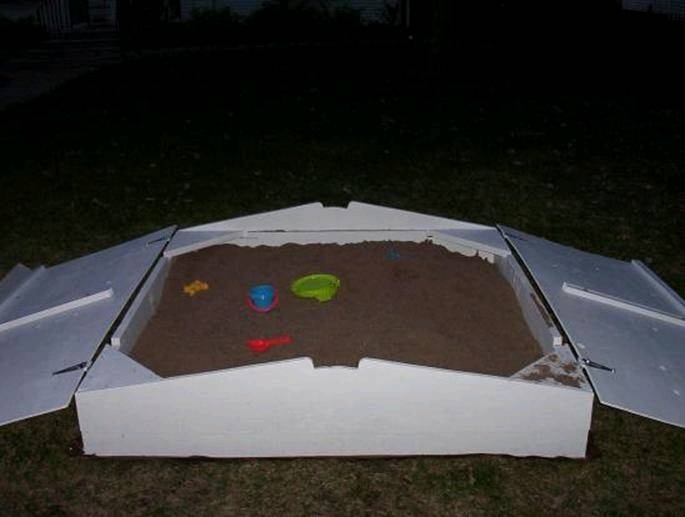 After having success on several house projects, I was told that my son should have a sandbox, but that it should be designed as to keep cats out. After some serious thought and research, an initial design was conceived. 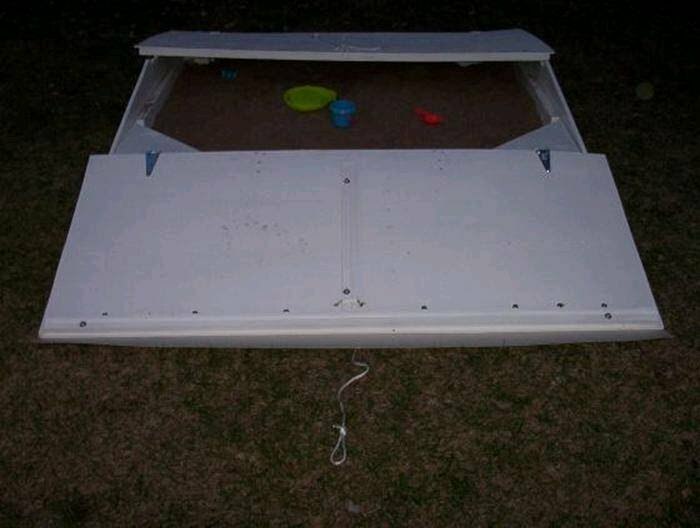 Shortly later the sandbox was built. 1. Between the sand and the ground there is 15-year landscape fabric. This provides anti-weed support like plastic would, but allows water to drain in order to keep ‘things dry and avoid growth of’ funny stuff’. 2. Since the distinction in safety between A2C treated lumber and other pressure treated lumber might be lost on parents of visiting children, the sandbox does not use pressure treated lumber. This will likely be the design choice that causes the sandbox to eventually fail. For now, I’m monitoring the effects of moisture on the base and also gauging the knowledge of visiting parents. 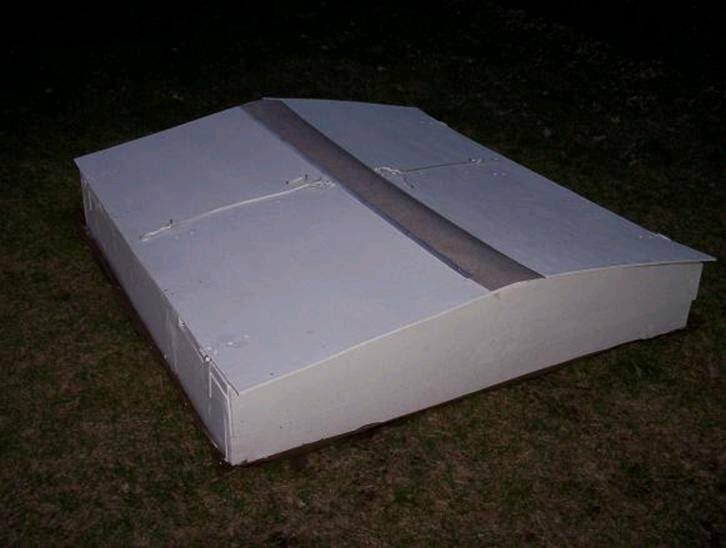 If need be, the sandbox might be lifted in the future and have a 2x2 strip of pressure treated lumber added as a foundation. Hinge placement for the doors was critical. In order to combat warping, the hinges needed to be widely spaced. The slope of the doors solve a primary and secondary problem. First, the slope of the doors keeps rain out of the box, and secondly, it allows for toys to remain stored in the box. Some rain does drip back into the box from the base of the doors; this could be resolved in a number of ways, but does help keep the sand moist. One unexpected result of this design is that sometimes we need to wet down the sand a bit in order to get optimal consistency.